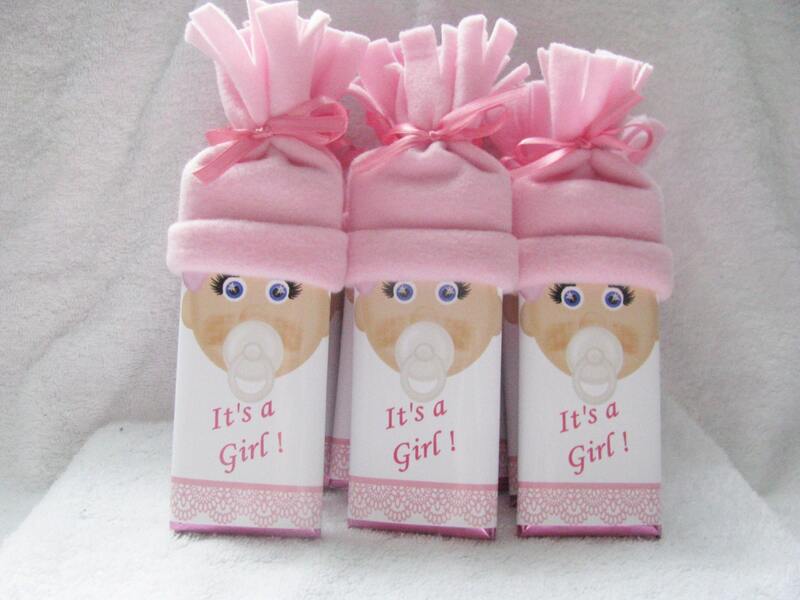 Baby Shower Favors - Baby Shower Favor - Baby Shower - Party Favors - Personalized - Shower Favors - make your baby shower special! 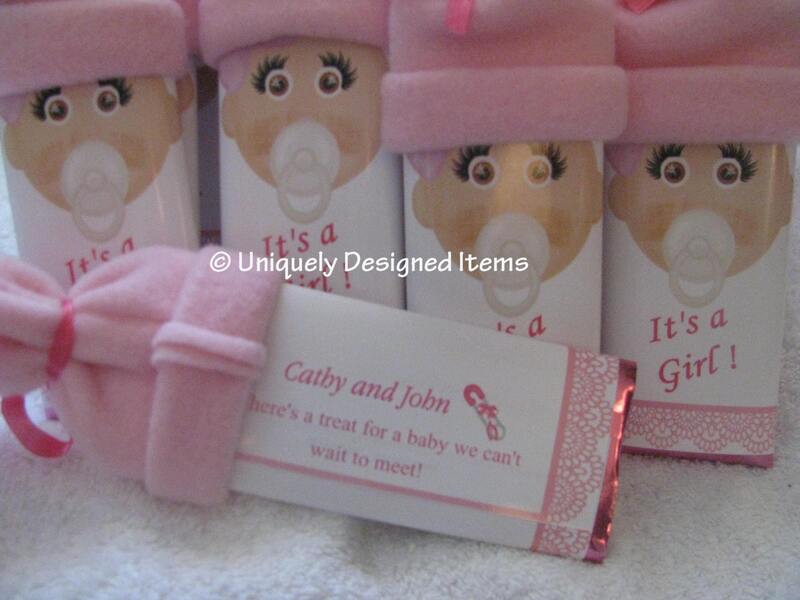 Baby Shower Favors that are sure to please every guest at your baby shower!! 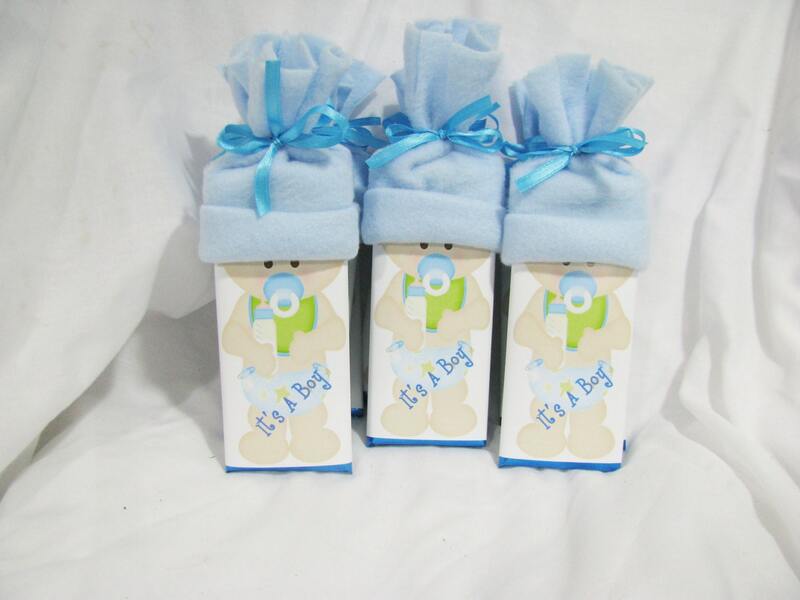 These baby shower favors are sure to please everyone at the baby shower! They are special and made with love! Each bar is a Hershey bar wrapped in foil. With a custom label. After your purchase you will receive a sample and we will customize it to have on the front and back exactly what you want it to say. For instance, some customers know the name of the baby so instead of saying "Its A Girl" we put the name. We also have yellow hats if you don't know if you are having a girl or boy yet. 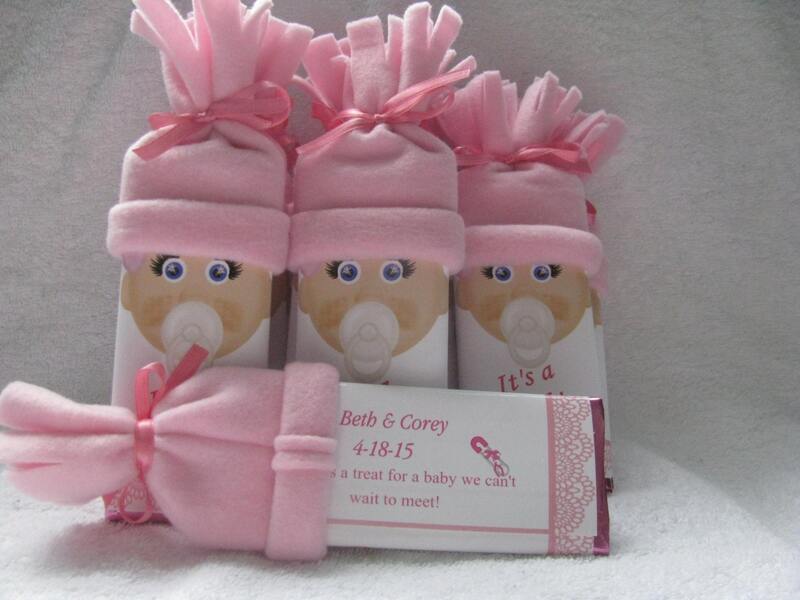 Each bar has a little hat that is hand sewn with love and made especially for your baby shower. 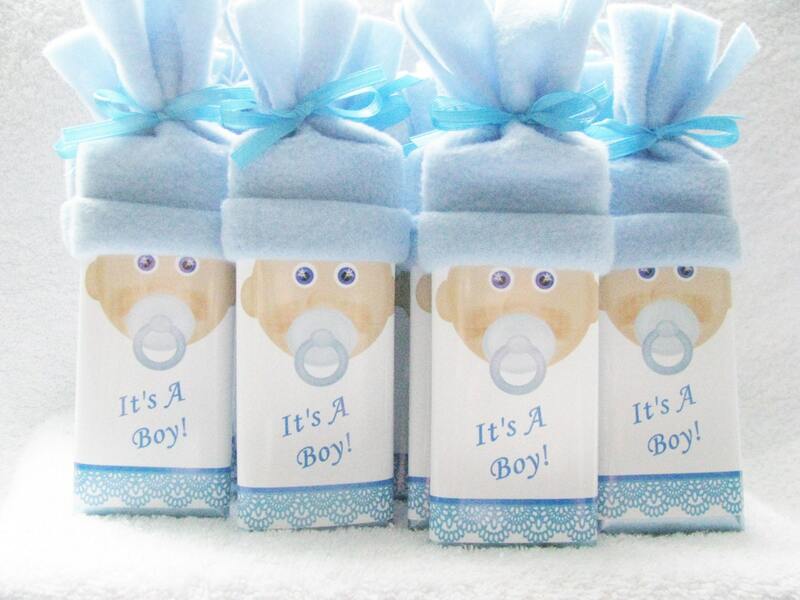 We know you will love these baby shower favors so much! Also to make your baby shower fun and special, we offer custom baby shower invitations, thank you cards and centerpieces. Many customers have bought everything from us. This makes it easy to make your theme or even use the baby bars as a theme. So please check out all the items in our baby section. If you want to order everything together, we are happy to set up a custom listing. We can't wait to make sure your baby shower is filled with more love! Thanks for stopping by!